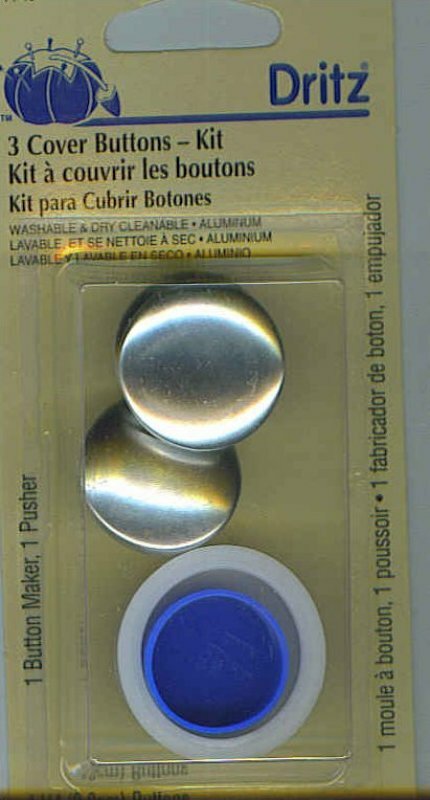 View Large Image Dritz Cover Button Kit 1-1/2"
Size 60. 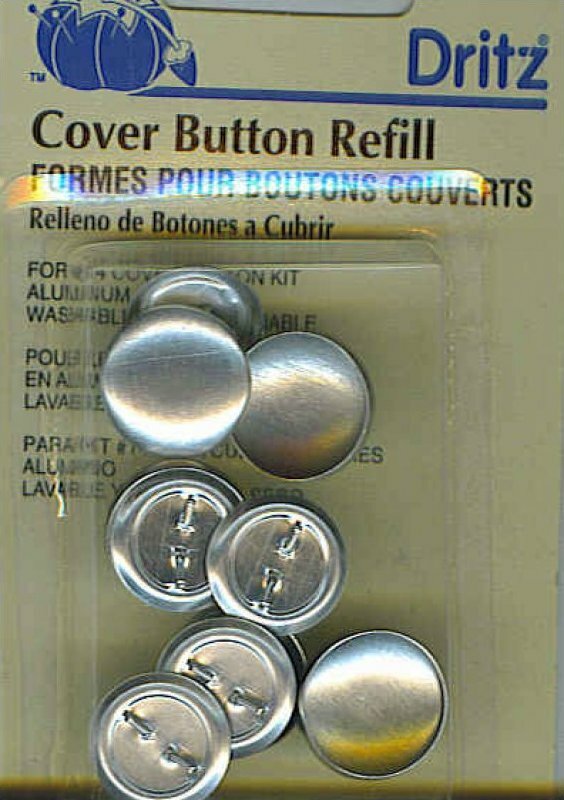 Self fabric button kit. Includes buttons, button maker and pusher; non-rust aluminum. Two buttons per card. 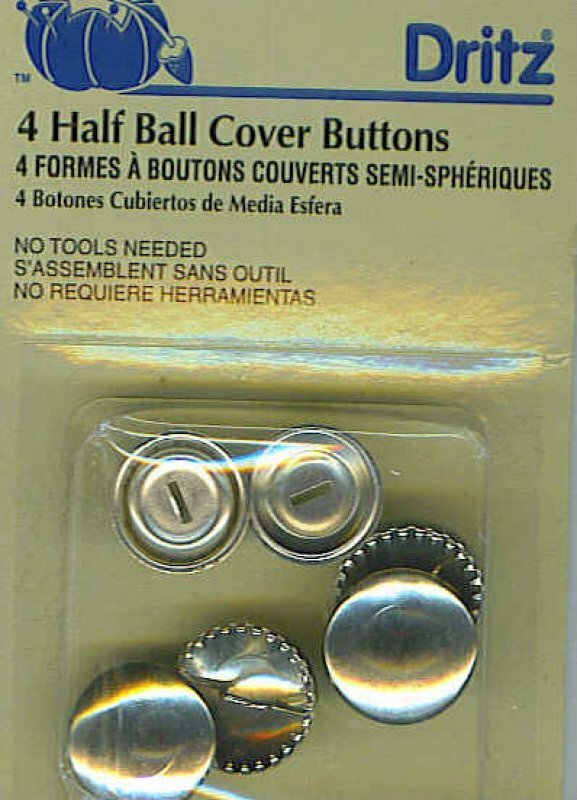 View Large Image Dritz Cover Button Kit 1-1/8"
Size 45. 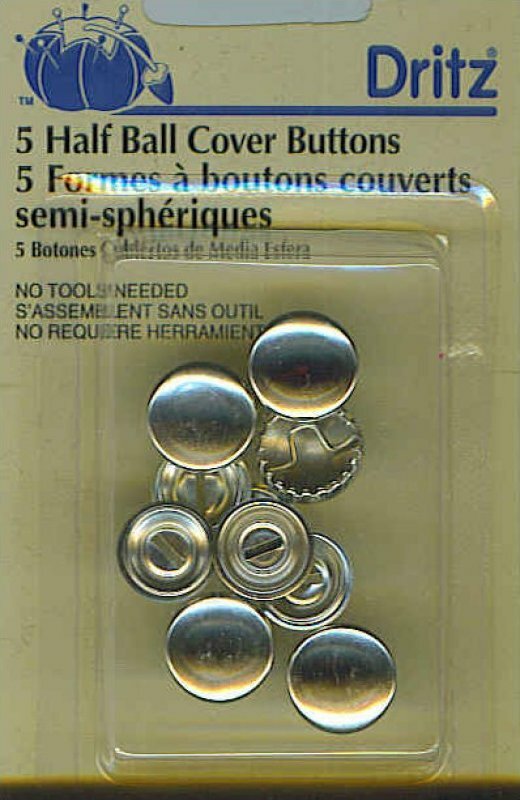 Self fabric button kit. Includes buttons, button maker and pusher; non-rust aluminum. Three buttons per card. View Large Image Dritz Cover Button Kit 1/2"
View Large Image Dritz Cover Button Kit 5/8"
Size 24. 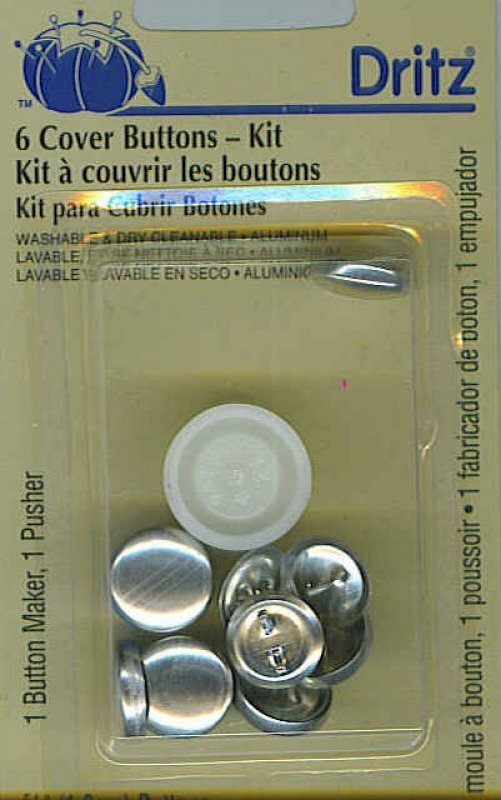 Self fabric covered button kit includes buttons, button maker and pusher; non-rust aluminum. Six buttons per kit. 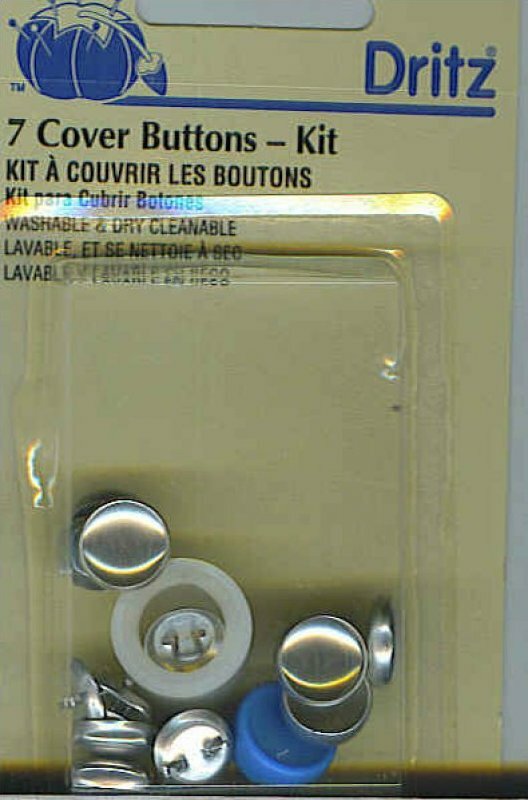 View Large Image Dritz Cover Button Kit 7/8"
Size 36. 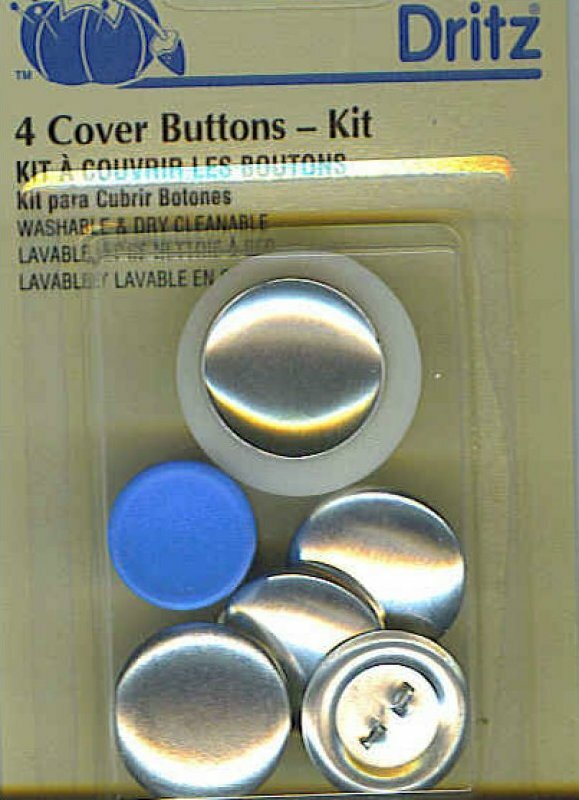 Self fabric button kit. Includes buttons, button maker and pusher; non-rust aluminum. Four buttons per card. 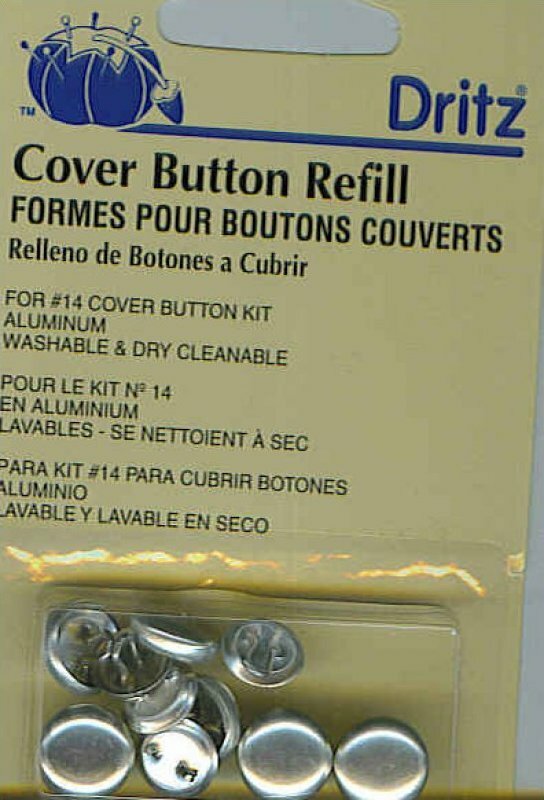 View Large Image Dritz Cover Button Refill 1-1/8"
For #14 cover button kit Size 45. Aluminum. Washable & dry cleanable. Three per card. 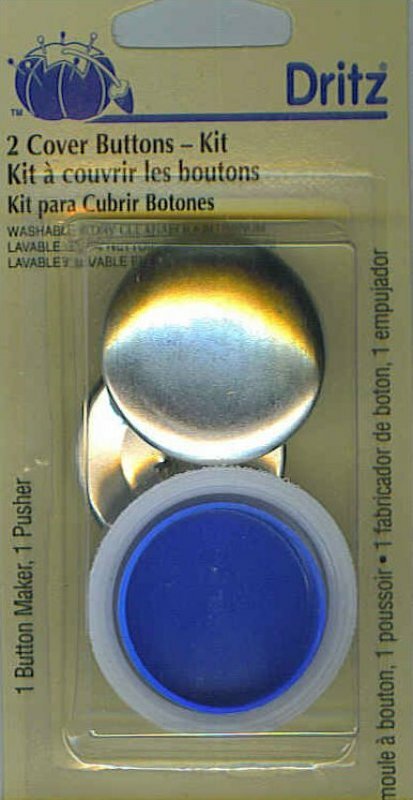 View Large Image Dritz Cover Button Refill 1/2"
For #14 cover button kit Size 1/2". Aluminum. Washable & dry cleanable. 7 buttons per pkg. 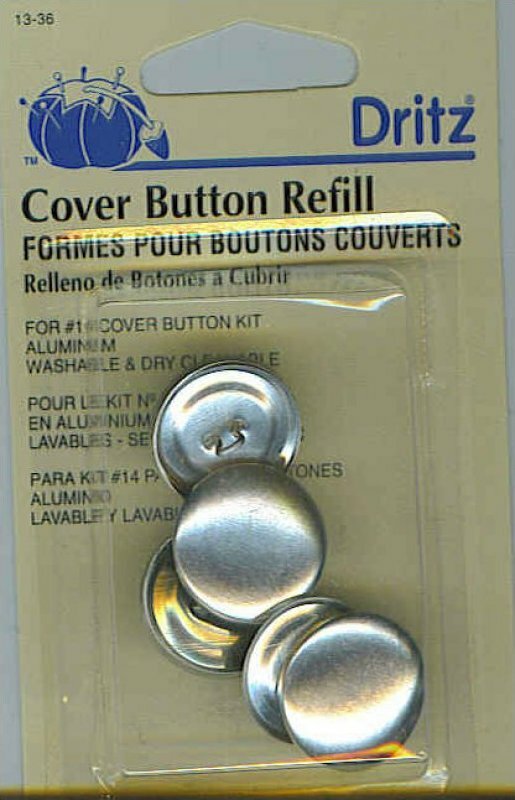 View Large Image Dritz Cover Button Refill 3/4"
For #14 cover button kit Size 3/4". Aluminum. Washable & dry cleanable. 5 buttons per pkg. 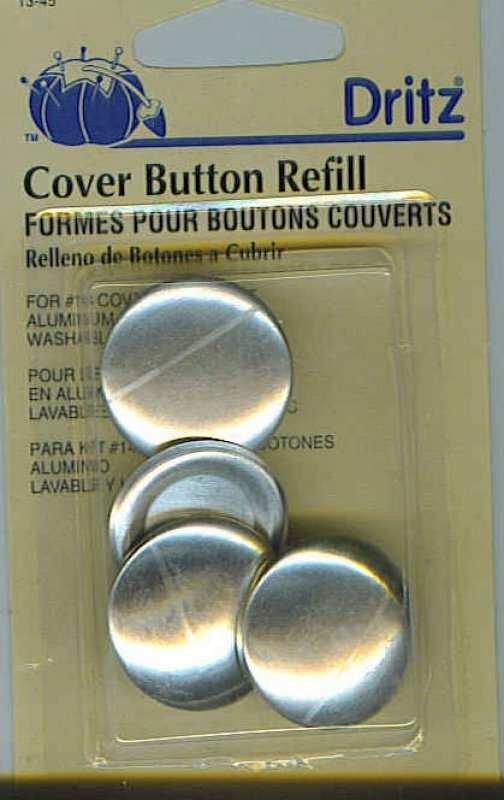 View Large Image Dritz Cover Button Refill 5/8"
For #14 cover button kit Size 24. Aluminum. Washable & dry cleanable. Six per card. 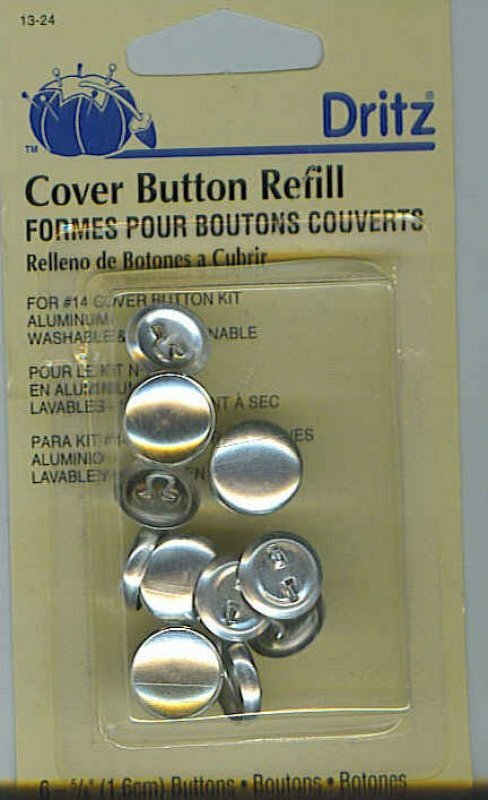 View Large Image Dritz Cover Button Refill 7/8"
For #14 cover button kit Size 36. Aluminum. Washable & dry cleanable. Four per card. 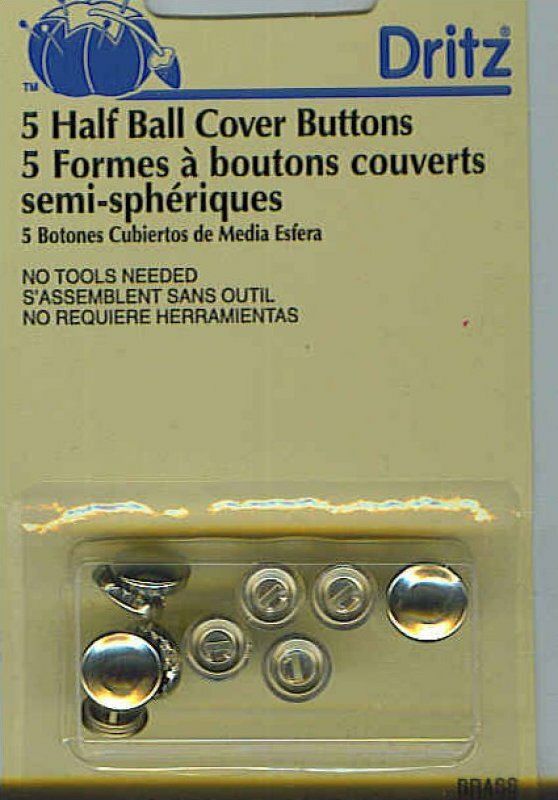 View Large Image Dritz Half Ball Cover Button 3/4"
No tools needed. Size 30 (3/4"). 4 buttons per pkg. View Large Image Dritz Half Ball Cover Button 5/8"
Solid nickel plated brass snap-on back-plate. No tools required. Size 24. Five per card. View Large Image Dritz Half Ball Cover Button 7/16"